Working parents rely upon day care centers so that the family can be supported and the child can be properly cared for during the work day. Many day care centers do an excellent job of educating, supervising, and caring for the children enrolled in the child care program. Other daycare centers, however, cut corners and end up harming the children that they are responsible for supervising. It is certainly unfortunate and tragic in many cases when a child suffers personal injuries in a day care center. While government monitoring and regulation can help weed out and close down bad day care centers, it is impossible for any form of governmental regulation to prevent all injuries from taking place. One article mentioned that a single state had 115 instances where day care centers were not meeting the minimum child to staff ratios, thereby leaving young children unattended and increasing the likelihood of harm. See Mississippi Increases Oversight of Day Care Centers. Many day care centers are underfunded and simply cannot afford to maintain the appropriate number of employees to adequately supervise the number of children at the center. This problem is very serious for young children of all ages. Infants need constant supervision to prevent accidents such as rolling off of changing tables or swallowing small objects, and toddlers need constant supervision to ensure that they are learning how to share and play well with others as well as to prevent them from injuring themselves or others or trying to run away. Other centers may have the funds necessary but cut corners to attempt turn a profit. This leads to understaffing on purpose or failing to schedule employees for routine maintenance such as cleaning and ensuring that toys aren’t damaged which can also lead to children getting sick or injured. 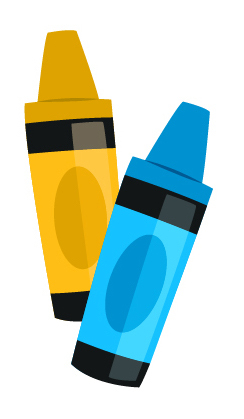 Most states have mandatory inspections of day care centers to hold them as accountable as possible, but the reality is that centers are not inspected every day, and many of them can predict when the inspector is coming so they may be tempted to follow regulations when an inspection is expected and slack at other times. As parents, we hope that day care centers are generally as clean and caring as they appear on paper and during tours, but if your child does get injured due to the negligence of a day care center or just one of their employees, it is important for parents to know that they have legal rights to recover for injuries, medical bills, and pain and suffering caused to their children. However, most companies have corporate lawyers to represent them, so suing or filing a claim against a day care center is not an easy task for a parent who does not have a legal background. As such, it is often necessary to hire a lawyer in order to get the best outcome possible for one’s children. 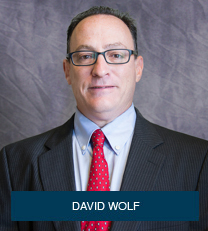 David A. Wolf is an author, advocate, and attorney who focuses his practice in the field of personal injuries to children. He is the author of 10 books including the book titled – The ABCs of Child Injury – Legal Rights of the Injured Child – What Every Parent Should Know. You can get this book for free at The ABCs of Child Injury.